Have you heard people toss around powerful concepts like “healing,” transformation,” “growth,” “awakening,” “presence” and “energy” —but felt unclear exactly what they mean, or if there is anything of substance beneath the fluffy buzzwords? About 25 years ago I started exploring meditation and yoga, and then getting curious about what what modern psychology might have to add to these ancient practices. As my journey unfolded, I dove into every practice, healing technique, psychological theory, and philosophical perspective I could find. Did I say “curious? !” Let’s be honest here —I was obsessed. I lived in a tiny one room apartment, drove a fifteen year old car and worked for minimum wage while spending all my free time following my passion. As an immigrant who had fled Apartheid South Africa with an incomplete college education and arrived in the U.S. with one suitcase and no friends or relatives stateside, my only real option was self-study. I literally read hundreds of books, watched and listened to hundreds of hours of lectures, conferences and seminars, and spent additional hundreds of hours on massage tables, breathwork futons, meditation cushions, and of course on the yoga mat. I studied mythology, poetry, psychology, neuroscience, anatomy, bodywork, yoga and meditation with a voracious appetite and a passion for discovery. All the while I was developing my own body of work; my own approach to what I now share in my daily life with yoga students, bodywork clients and teacher trainees. What follows is an excerpt from my book Awakened Heart, Embodied Mind: A Modern Yoga Philosophy Infused with Somatic Psychology & Neuroscience. The book is available on Amazon.com for reading on any digital device (phone, desktop, iPad, Kindle etc.) It is also included as a text in the Awakened Heart, Embodied Mind Teacher Training. The Trinity Sutra is intended as a potent and concentrated summary that you can come back to again and again, it is the boiling down of the essence of the power of mind-body yoga. Each of the six sections focuses on and develops one key concept. Think of it as a map to an extraordinary adventure to which I am honored to introduce you. 1.1 I have found this trinity at the heart of transformational practice: Breath, Presence and Compassion. It can be used in any discipline. May it be of benefit. 1.2 Keep the breath flowing – it is what focuses the mind, releases the tension, alchemizes the shift in brain state, moves the energy held in the tissue and makes conscious the gifts (whether shadow or light) available in the inner world. 1.3 Allow the breath to serve as a tool to evoke presence. Simple, humble, courageous, honest present attention can be-with whatever arises. Presence moves beyond beliefs and consoling ideas into direct, open witnessing of what is. 1.4 In concert with this dance of breath and presence, shadow and light, energy and consciousness, sensation and emotion, keep inviting the true grace of compassion. Not a nicey-nice Disney compassion, but full-hearted, fierce, all-embracing, true compassion. 1.5 At it’s heart, transformational practice is about one thing: Process. 1.6 It asks that we enter again and again into the process of what lies beneath the surface. This is how we grow, heal and integrate. 1.7 This trinity of breath, presence and compassion is what I have found supports the process. 1.8 The process is not about wishful thinking, believing in anything, making anything up, pretending to be something you’re not, taking an exotic sounding name, buying the T-shirt, wearing the beads, drinking the kool aid, or claiming magical powers. 1.9 The process is about turning inward and becoming a good friend to your disowned self. It is about facing your shadow – and in so doing finding resources you may not have known were there. 1.10 It is about embracing your mortal and vulnerable body, your fierce and tender heart and the possibilities of your simultaneously ordinary and extraordinary mind. 1.11 It is not about disowning your rage, fear or grief. It is not about pretending everything is always perfect, covered in fairy dust and presented as a gift from on high. 1.12 Ultimately, it is about asking ourselves what is really true. How do we truly feel, where do we need to grow, what have we been hiding from, how do we live more fully, love more deeply and foster a spirituality that is not about pretense and one-sidedness? 1.13 This may sound grim – but in fact it is beautiful, it is real, it is liberating, it makes genuine freedom possible and it grounds spirituality in the earth, the blood, the guts of what it is to actually be human. 2.1 Breath is the bridge. 2.2 Because breath is both an unconscious process driven by the instinctive brain, as well as an activity that can be consciously modulated, it serves as a bridge between the surface and depth of what we are. 2.3 Breath patterns reflect states of mind, and breath patterns can be used to shift states of mind. 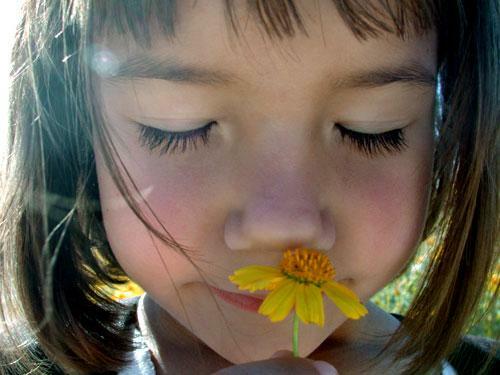 2.5 Conscious breathing heightens awareness of what lies beneath the surface, making what was unconscious, conscious. That’s the process. 2.6 Bridging the gap between the conscious and unconscious is at the heart of transformational practice. 2.7 Here is a trinity of breath patterns I have found effective. The names matter less than the experience they evoke. 2.8 Yogic Breath: in and out slowly through the nose, maintains present attention and makes equanimous witnessing possible. 2.9 Tantric Breath: in through the nose and then out through the mouth in two-parts as the head gently tilts back, allows surrender, softening and the circulation of pleasurable energy. 2.10 Shamanic Breath: in through the nose in two parts: short sniff and strong deep inhale, then out through the mouth, builds powerful energy to break through resistance. 2.11 Each of these breath patterns utilizes different brain/endocrine loops and allows us to experience the additional powerful trinity of firm equanimity, soft surrender and courageous fierceness. 2.12 With prolonged engagement, each of these breath patterns evokes specific archetypal brain states that correspond with the qualities of equanimity, surrender and fierceness. 2.13 Each of these three states is rooted in ecstasy. Here Ex-stasis, from the Latin – interpreted as ”to stand outside” of our everyday limitations and habitual identifications, and thereby to drop more deeply “inside” the fluid process that moves through and beyond stuckness. 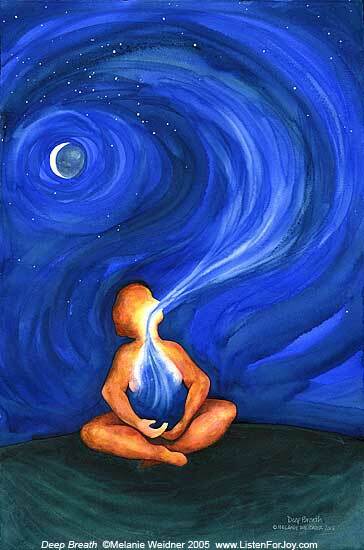 2.14 Prolonged Yogic Breath evokes equanimity – an ecstasy of deepening mental clarity and calm witnessing. 2.15 Prolonged Tantric Breath evokes surrender – an ecstasy of dissolved resistance and embodied bliss. 2.16 Prolonged Shamanic Breath evokes fierceness – an ecstasy of empowered aliveness. 3.1 Breath moves energy. This is a visceral experience. 3.2 As energy moves, the body-mind “unwinds”. 3.3 Unwinding can be experienced as layers of mental associations being illuminated – memories, longings or beliefs arising in awareness. 3.4 Unwinding can be experienced as unresolved emotions rising to the surface to be understood and released – this requires compassion and patience. 3.5 Unwinding can be experienced as an involuntary physical process in which the body visibly undulates, trembles, pulsates and discharges tension patterns. 3.6 Unwinding further shifts our state of consciousness. This can be represented internally as an experience of archetypal images, feelings and dynamics as we stay present with the process. 3.7 The Sacred Biochemistry at play in these ecstatic states heightens the transformational fluidity of Neuroplasticity, and makes possible higher order integration in the memory system – gradually freeing us from the unconscious “triggers” that drive our reactive behaviors and defenses. 4.1 Triggers are the buttons we all have that link to unresolved emotions and unintegrated memories from past experience. It is a powerful component of transformational practice to become more aware of what our triggers are, where they originate, and how to be liberated from them by riding the process using breath, presence and compassion. 4.2 Defenses are strategies we have unconsciously used to protect ourselves from difficult feelings and facts. It is a powerful component of transformational practice to move beyond the limitations of our defenses and become more honest about the feelings and facts they deny or distort. 4.3 The first step toward dismantling a defense is to become more resourced. 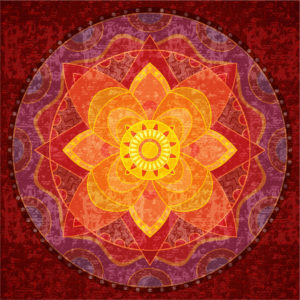 4.4 A resource is anything that evokes grounding, compassion, courage, beauty, safety or other positive states of being. 4.5 Because many of us have used defenses in place of resources, becoming aware of resources that are not defenses can be revelatory. We create defenses in absence of resources, so we can more easily relinquish defenses once we feel truly resourced. 4.6 Defenses do protect us from difficult feelings and facts, but once we seek to grow beyond their confines they become an obstacle. 4.7 Once resourced, it is unavoidable that dismantling the defense entails facing the feelings and facts it was keeping at bay. Though this is often unpleasant, we build resiliency, grounding and self-honesty through this process. 4.8 The radical realization is that emotions are important, intelligent and good. 4.9 The more our fear of authentic emotional experience lessens, the less dependent we are on our defense system, and the more integrated our process becomes. 4.10 The most common defenses are denial, rationalization and dissociation. 4.11 Denial is unconsciously pretending that something we don’t want to feel or face either doesn’t exist or is actually not what it is. We can deny anything about life and reality that we wish was not so – this limits our awareness, honesty and capacity for genuine compassion. 4.12 A rationalization is a trick we play unconsciously that distorts facts or feelings in order to perpetuate an untrue story about ourselves, our feelings, our behavior, the world or life. We can rationalize anything about life and reality that we wish was not so – this limits our awareness, honesty and capacity for genuine compassion. 4.13 Dissociation is a disconnection from being present in such a way that we may feel we have either left our bodies, blocked out certain sensations or emotions, disowned certain experiences, or gone into another reality. Dissociation is usually an indicator of unintegrated painful traumatic experience. 4.14 This trinity of defenses often unconsciously forms the core of what we think of as “spirituality.” Becoming aware that this kind of spirituality is itself a defense system opens the door to transformational practice. The trinity of breath, presence and compassion allows us to move toward the next stage of spiritual growth. 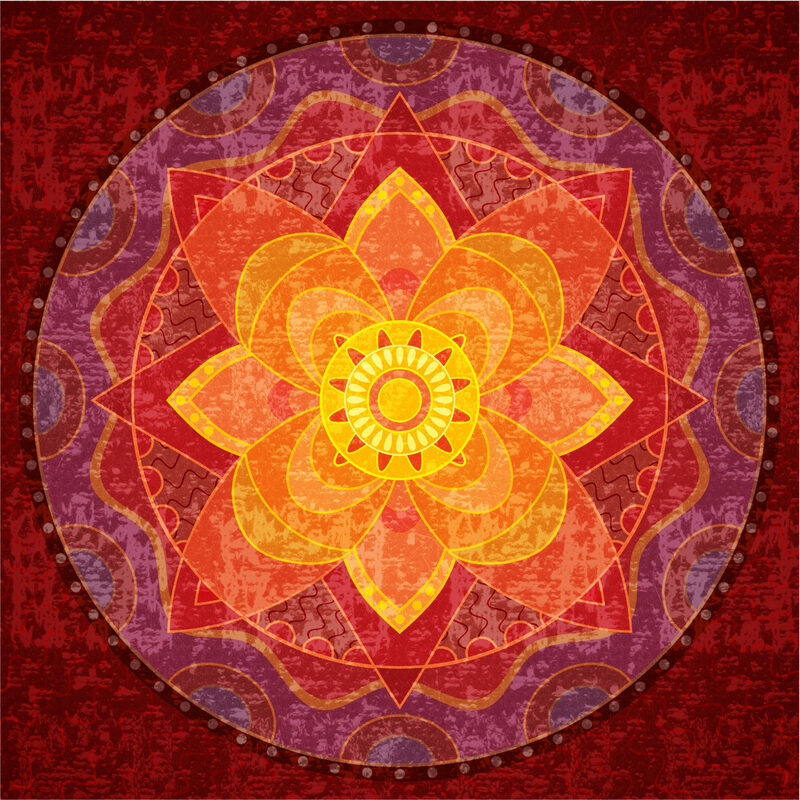 5.1 Presence is simply being aware of what is as it unfolds. 5.2 Presence is humble, honest and courageous. While practicing, each moment is a new opportunity to be present. 5.3 Being present is not erasing the past, ignoring emotions, or pretending we don’t care about the future. 5.4 Being present is an open attitude to what arises in awareness as the breath moves in and out. 5.5 Being present activates the brain’s capacity for self-transformation, called Neuroplasticity. 5.6 Staying present with what may be uncomfortable moves us outside of our habitual defenses – this makes possible new awareness and healing. 5.7 Being present to what feels good allows the cultivation of resource and an expansion of our ability to tolerate letting go of control. 5.8 The more we cultivate resource the easier it is to be present to discomfort. The more we become resilient in the face of discomfort, the more deeply we can feel resourced. 5.9 Faux-presence has a rigid, controlled, aloof quality that enacts some form of denial, rationalization or dissociation. 5.10 Presence is the greatest gift we can give ourselves and one-another. It becomes the hallmark of a more integrated person who can be-with self and other, shadow and light, struggle and grace authentically. 5.11 Presence is interested always in what is actually true, and is willing to stay with the process of discovery. 6.1 Compassion is an open attitude toward the reality of suffering. 6.2 We are compassionate toward others in direct proportion to how much we have learned to be-with our own suffering. 6.3 In transformational practice, cultivating compassion for ourselves lubricates the journey begun by breath and presence. 6.4 Compassion is the antidote to self-hatred. 6.5 Compassion is the resource that makes dismantling defenses possible. 6.6 Compassion is a willingness to courageously embrace the inevitable suffering that is part of our own and other’s existence. 6.7 Compassion is not codependency. It does not seek to fix, cover over, or take away someone else’s pain. Rather compassion can be-with pain and let it run it’s course. 6.8 Compassion is not always nice. We can set boundaries, tell truths and express anger in concert with being compassionate. 6.9 Compassion is born of evolving wisdom, self-honesty and the actualizing of our mirror neuron system that allows us to imagine how others feel. 6.10 Authentic compassion starts at home. Thank you for your time. May these words be of benefit.